Anything japanese-hailing tends to be more promising. 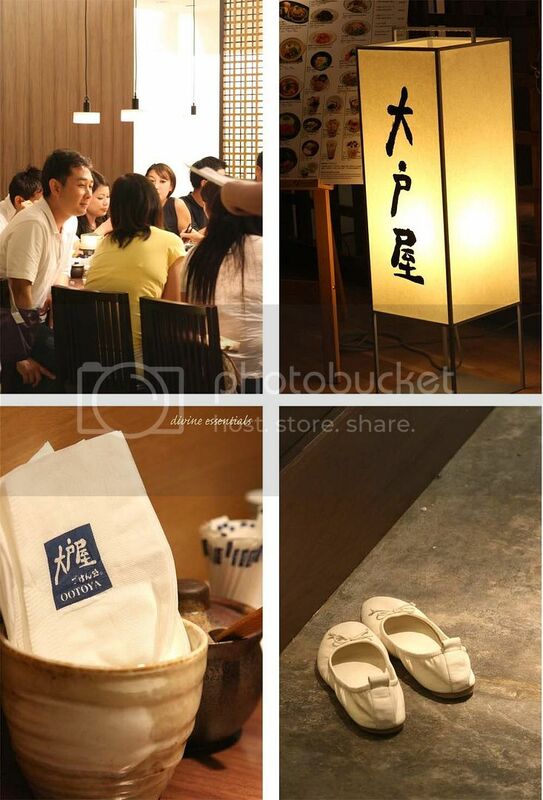 Ootoya is a budget teishoku chain from Tokyo whose first foray in Singapore have been euphoniously well-liked. They are probably one of those few worth the patience in scavenging Central Orchard (aka the vertical maze) for. The mall, is one terribly confusing place. I'm skipping my minor grouses about service & crowd management on a busy friday evening. Food is priority. 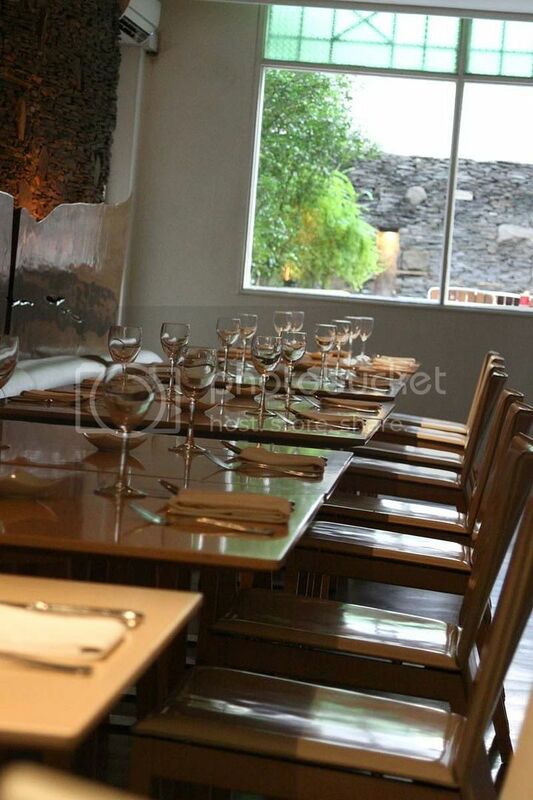 The menu hosted a veritable variety of proteins, all substantiable as a set meal by choice. Interestingly every dish also had a perturbing calorie count attached. At least to say, one among us was perturbed. A Tofu & Wakame Seaweed Salad ($6) to kick off healthily. 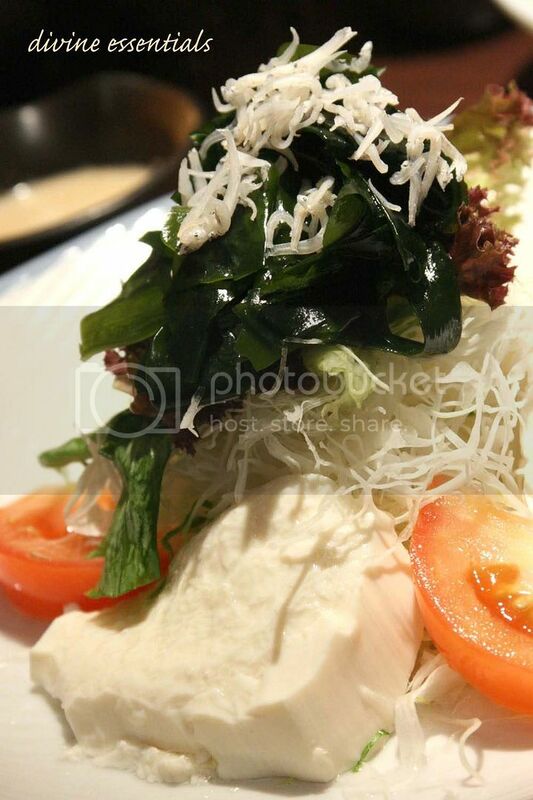 Fresh whites, greens and reds adorned with irregularly shaped homemade tofu blobs and little sardine babies. I'm guessing the rationale for anyone insisting to have the Charbroiled Alaskan Red Snapper Set ($17) is health-related. 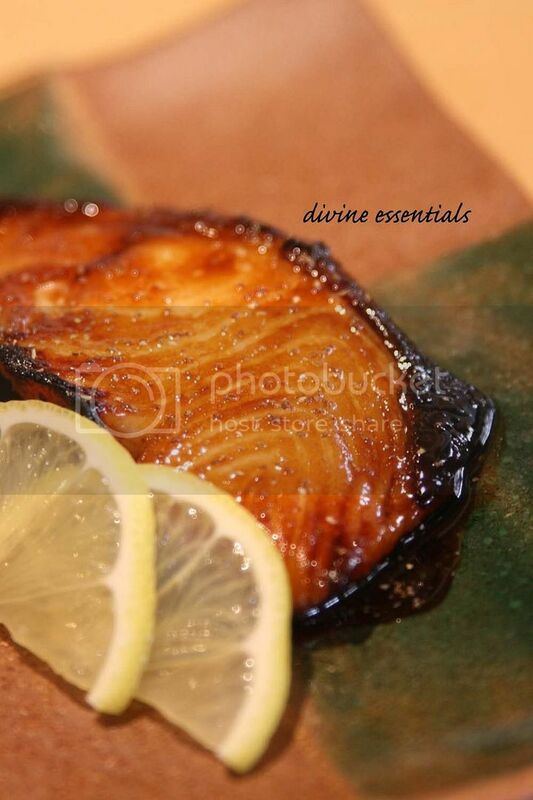 This generous serving of white fish had the most numerous bones & also the lowest energy-supplying devils. I watched her half-complain, half-chomp on the bones (which she complained about) but they didn't last for long. Rice with Charcoal Grilled Pork ($14) wow. The tender rounds & accompanying sauce were so deliciously seasoned.. i dare say it is one of the nicest pork dish i've had in years. Loved it plenty. The Charbroiled Alaskan Red Salmon ($13) though not fascinating, displayed excellent qualities. The cut of Alaskan Salmon was done nicely firm, accompanied with some condensed leek miso dip and a moreish hijiki salad so super scrummy. Whoever that man was, i revelled in having a Japanese assigned to serve our food haha. 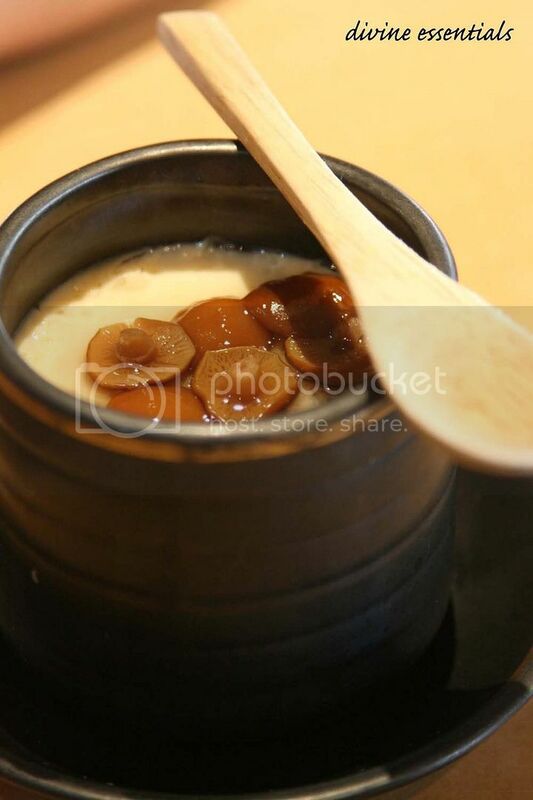 And their lovely chunky miso soup yum. Damn we should NEVER have bypassed desserts here for the whatsoever Fruit(tart)Paradise crap. Arrgh deluded. Third time at Privé, i finally embarked on savouries. 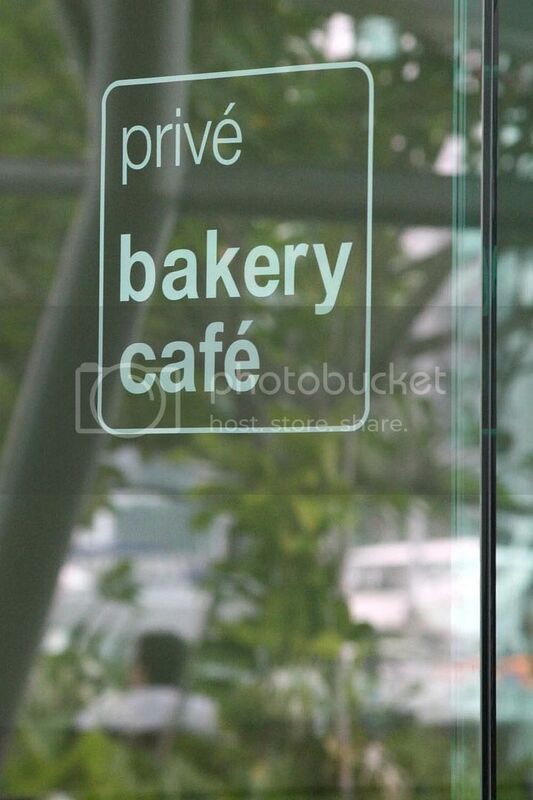 With a luxurious bayview and breezy backdrop, Privé Cafe is now the rising hotspot for Brunch. Just desserts alone can get me head over heels... or crazy enough to drag Dad right off his flight (and jetlag) here for a splendid sunday meal. For the day, instincts told me i should prey on something complete, something like a Big Breakfast or The Works. 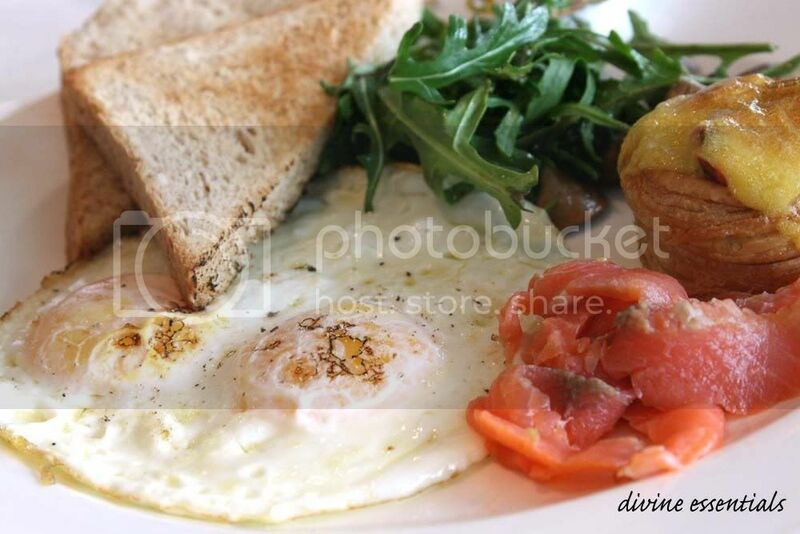 Fortunately Privé offers a timely variation of Privé Ultimate Breakfast ($17): seafood edition. Instead of sausage & bacon it had a healthier attendance of smoked salmon & a quirky mussel vol-au-vent, 2 eggs done your style, arugula and roasted mushrooms. You may argue what's The Works without The Meats but for a seafood fan like me, The Works is everything better with The Marines. 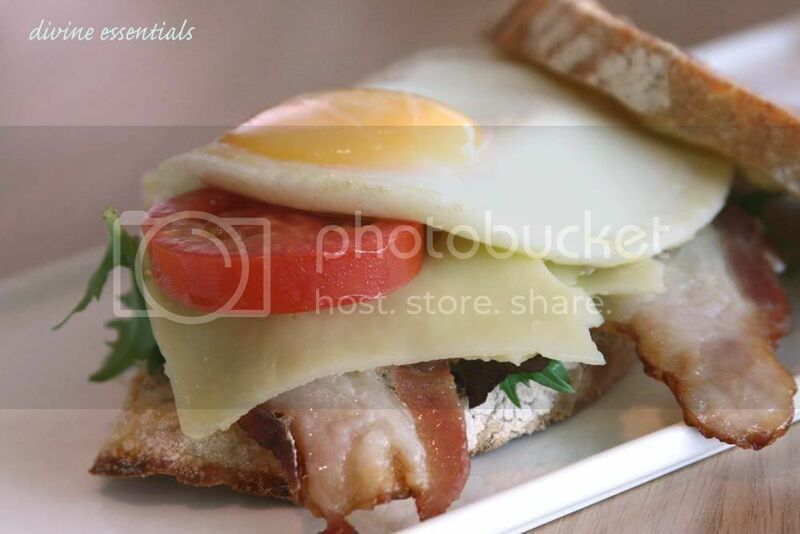 B.L.T = Dad's three magical alphabets. Though not outrightly expressed, i know Bacon is Best for Brunch inhibits in his mind. Hence even when the BLT & E (e for egg, $16) appeared more chi-chi than imagined, he nibbled the streaks right down to the very last chip. Now that's a Bacon.Loving.Tale in reality. Once savouries ended, i toe-lightedly hopped over to the cake shelve like a kid on caramel candy. 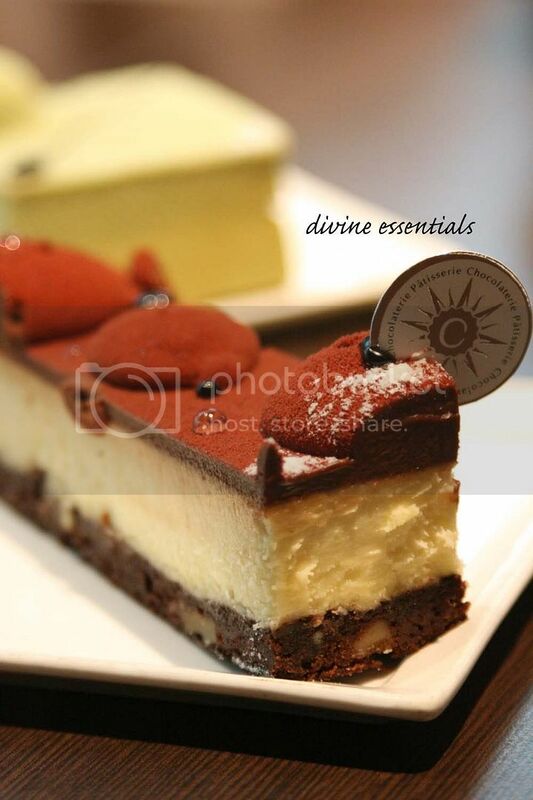 Privé's got one of the inarguably BEST carrot cake on our island and a handful of delish others to boot. 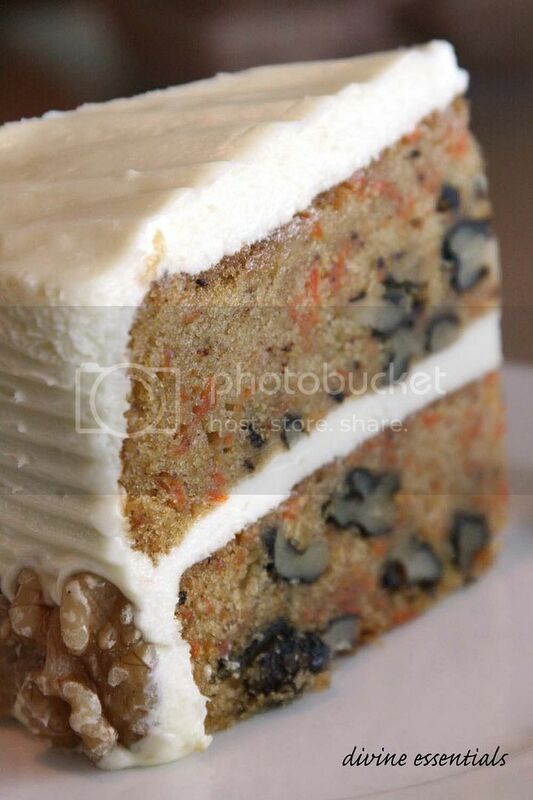 The tall Carrot Cake ($6.80) is sturdy like sponge and densely clouded with many orange carrot sticks & blackish walnuts i love. Compact, moist yet not thunderously heavy. Just soooo scrumptious that Cedele takes a backseat for now. All hail CC the almighty! Also noteworthy was their Blueberry Cheesecake ($6.80), seductively stained with dashes of natural purple. Not too heavy over a soft wet base. 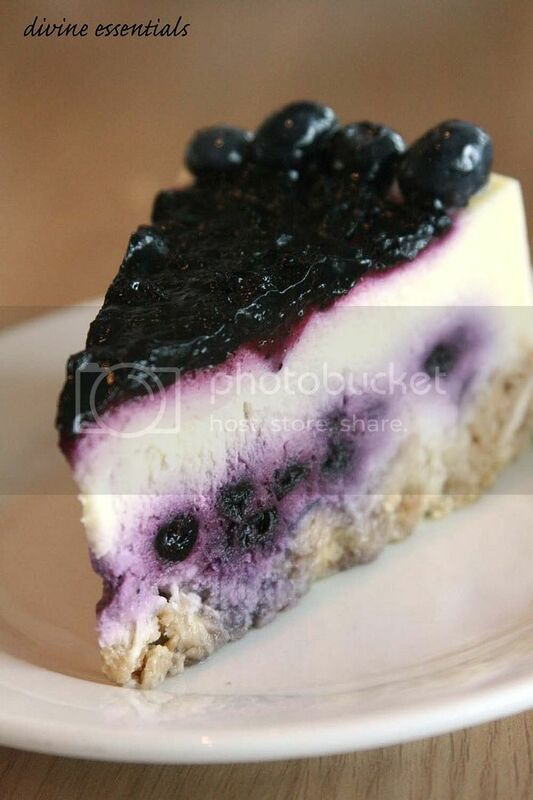 A real blueberry cheesecake should involve the blue gems this way (in & over) else it logically degrades to a 'american cheesecake with blueberry jam topping'. If not for the carrot cake stealing the limelight, i would have showered this one with closer attention. I'll be hopping back for more without a doubt. Best of the Best. This favourite confectionary of mine have been churning out ever-consistent tau sar piahs over the past 50 years. Baking them in a traditional charcoal oven imparts their unique fragrance like no other (think about having wok hei in your hokkien mee). 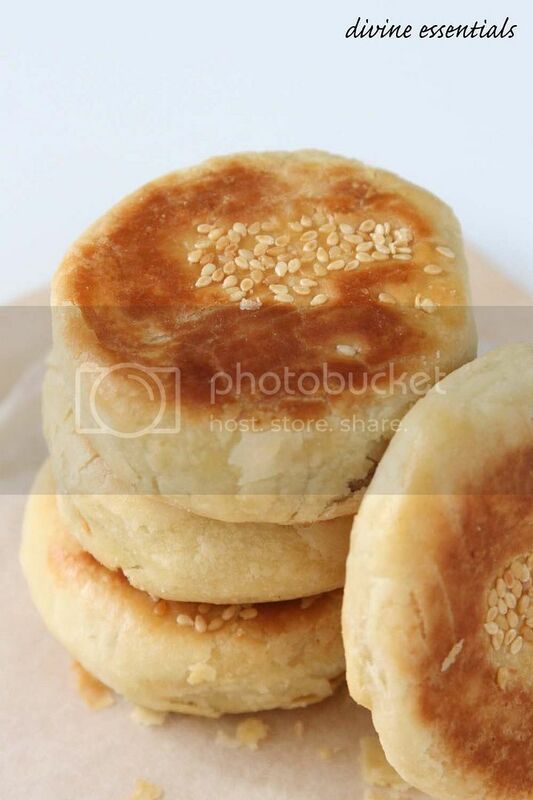 Every bite of the pastry is flaky, old-school buttery and centered with just enough sweet bean paste to get you Mmmming in satisfaction. Talk about experience and consistency. 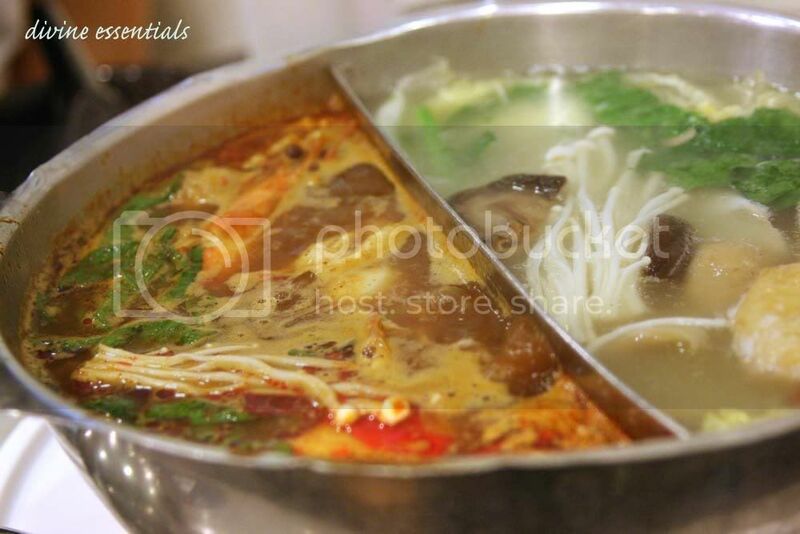 Tau Sar Piah competition in Balestier? I don't see a clamour. The winner is clear and they are irreplaceable in my heart. 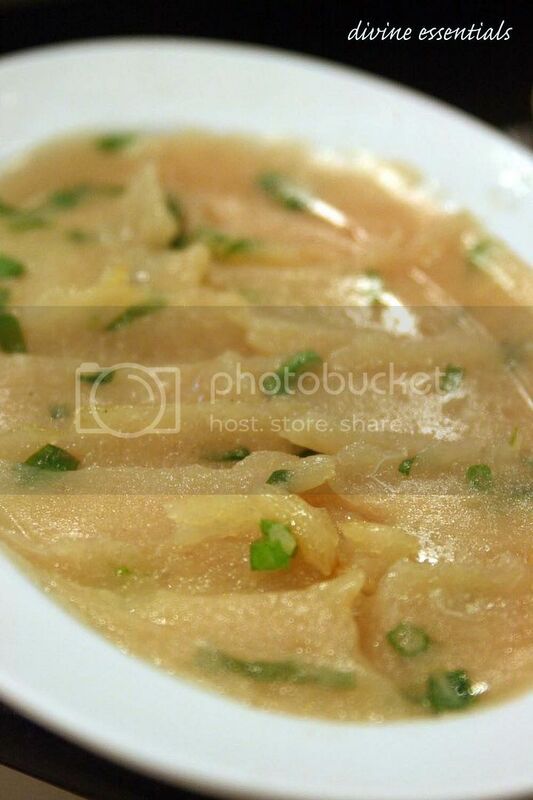 Thank you mummy for always buying me tau sar piahs! P.S Did i mention they're doing egg tarts & muffins as well? Imagine a muffin with the wokoven hei Lol. Im so putting it on my to-try-list. 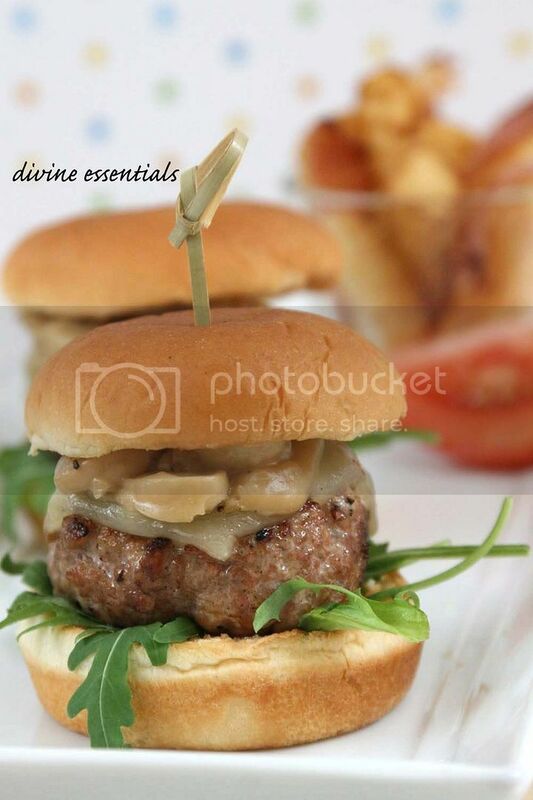 That week of LOA, i made myself burger lunches for two consecutive days in a row. 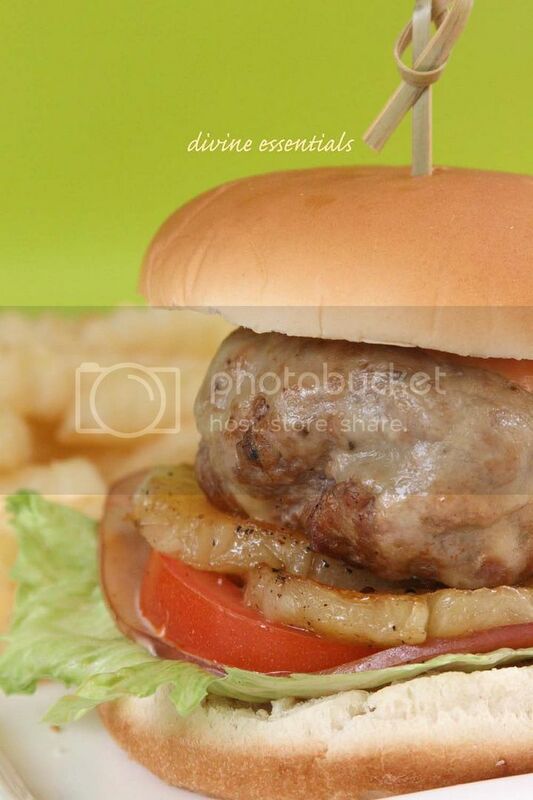 The first, a random idea of stashing ham & grilled pineapples into the regular pork burger. Named it The Hawaiian- pork pattie, mozzarella meltdown, honey baked ham, maple-glazed pineapples and a murky tomato aioli. Clearly 100% intentional to mimick the trusty components of everybody's favourite pizza. Turned out mutinously yum yum but so slipshod, im hesitant to even show. Things got sunnier on Day 2. 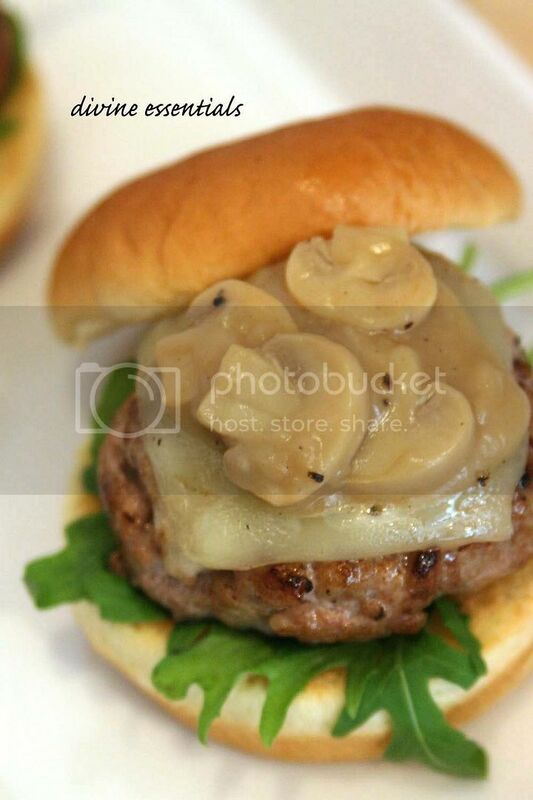 A familiar Mushroom Swiss Burger i can finally be proud to call my own. Changed the buns, downsized the portions, swapped the usuals for better swiss cheese & baby rocket and the assembly instantly upped a notch. The worchester-spiked brown gravy was seriously tasty. 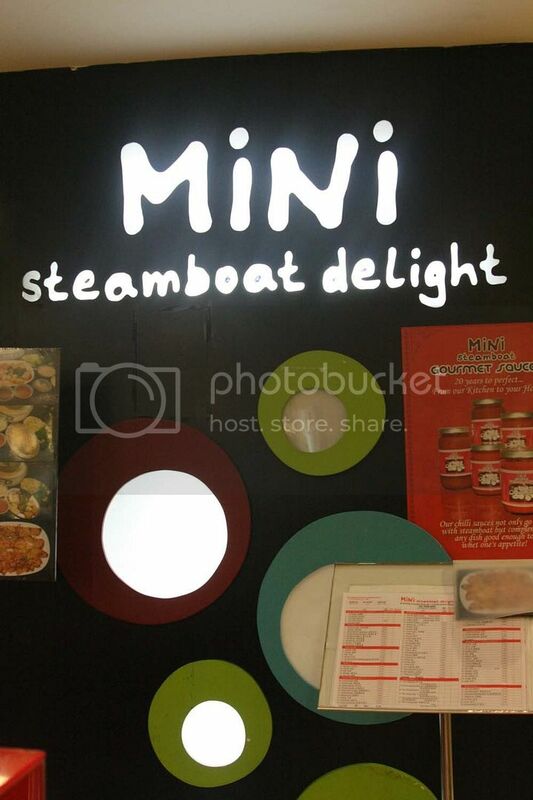 Plus i like my food petite and handy so i should jolly well scale my burgers mini from today. Narcissus button mushrooms it is... cos i don't recall having fresh funghi in any of my MSB encounters. Canned ones are classic for those who chomp on BK and Kentucky often enough. Truthfully enjoyed my MSB Juniors! Especially in that period of stale meals and quarantine boredom. *jumps for burger success. 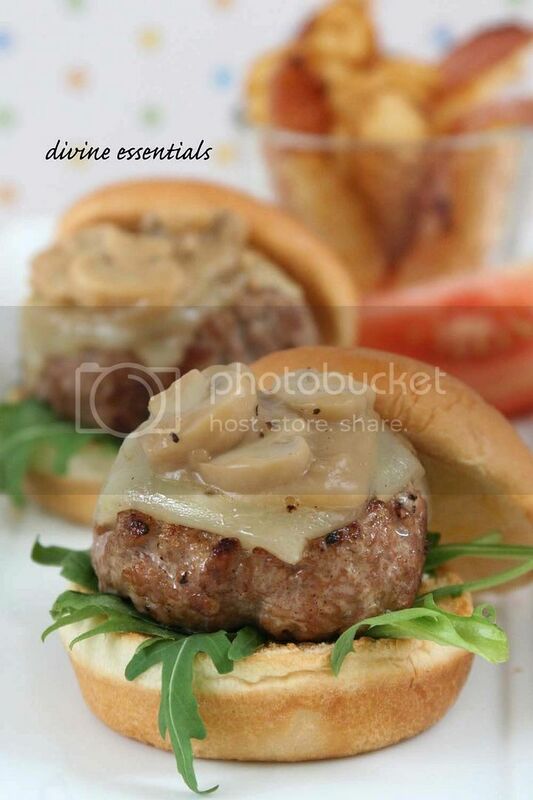 a peek of that embarassing pizza-inspired burger to close up Project BAB. I'll never forget your company at guides and at tuition, our regular steamboat lunches, bubbling tomyam soup, sticky fish glue, kickass chilli sauce... and the countless laughters between them. Life in tkg wouldn't have been the same without you. 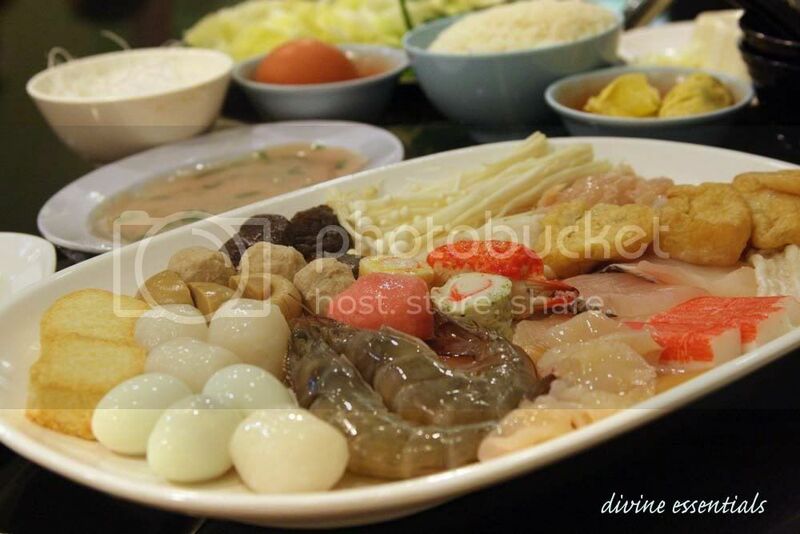 Sharing, is what makes steamboat so enjoyable. Such independently simple foods can retract time and emit the joy from before. 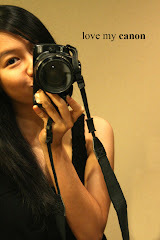 Memories relieved once again. 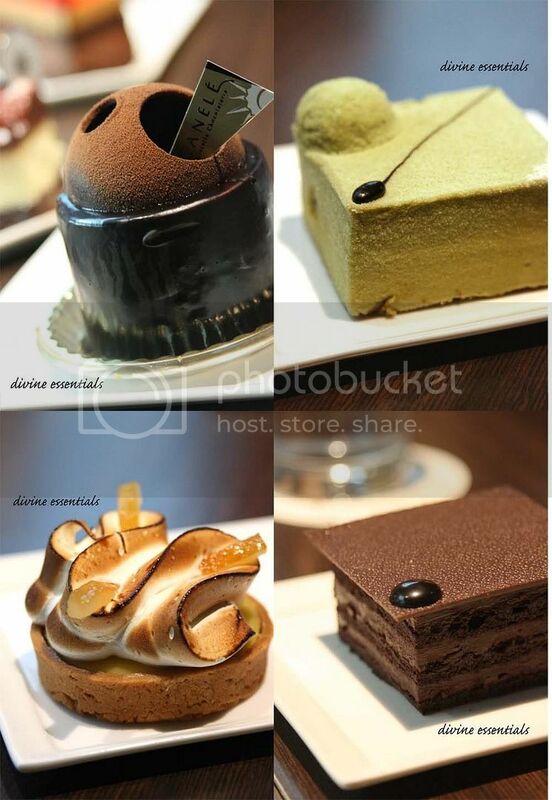 Sometime back, a group of us headed to Canele and filled our table solely with entremets. Chef Pang's 2009 Collection divulged a couple of new surprises so copious of his ingenius creativity. I've held no qualms about his talent since day one. The ten of us picked 9 cakes to engage in our very own dessert merry-go-round. Though mostly familiar to me, it was a virgin experience having sooo many of them to savour at one go! 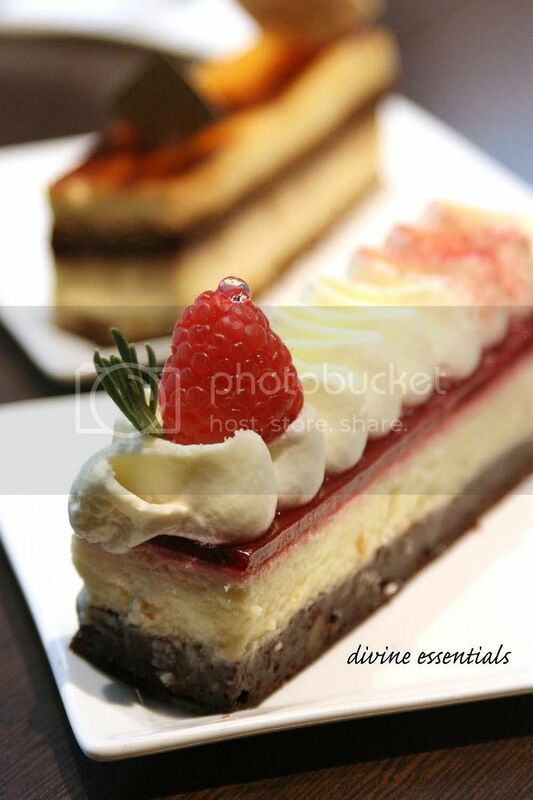 My favourites stood out almost immediately... loved the chocolate takeover in Blackforest, brilliant citrus shot in Barcelona, rich harmony in Triple Chocolate Cheesecake & the uplifting rosemaryness of the Raspberry Cheesecake. 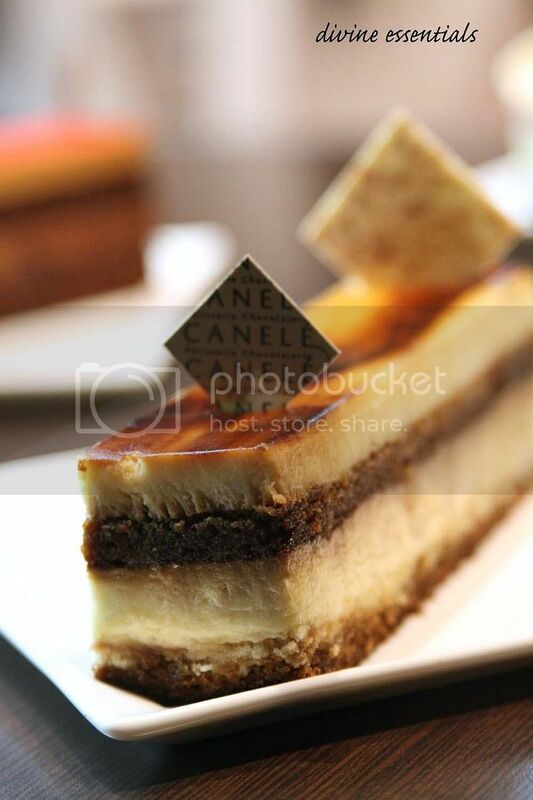 Canele has it all to hit bull's eye for any dessert softspots... my stand is strong on this. Had wonderful company and sweets that afternoon, thankyou all for the great time spent! It may be years years ago that i stayed in Boston but the memories still visit every now and then. Acclimatizing to the food there was so facile. I became an American grub freak within days, hooked to all that Uno's, Chili's, Panera Bread, Dunkin' Donuts... yada yada junks. Could eat them routinely without feeling an inch of guilt. That explains why im such a bread freak now haha. Not born to be but nurtured to be one. 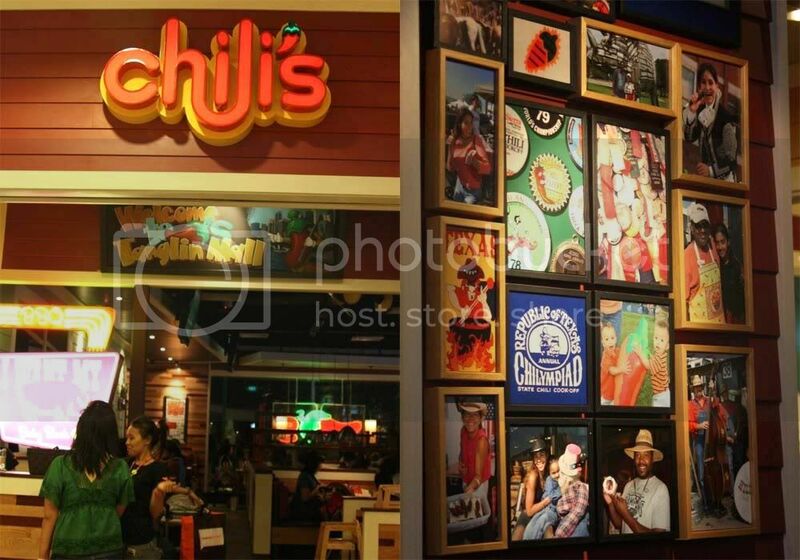 So imagine my joy to hear about Chili's reappearance in Singapore! Of course slightly dismayed that Spageddies had to go (there's always Paragon), but Chili's is one dearly missed joint i'm pouncing to eat at. From my recollections i don't suppose the menu deviated much. 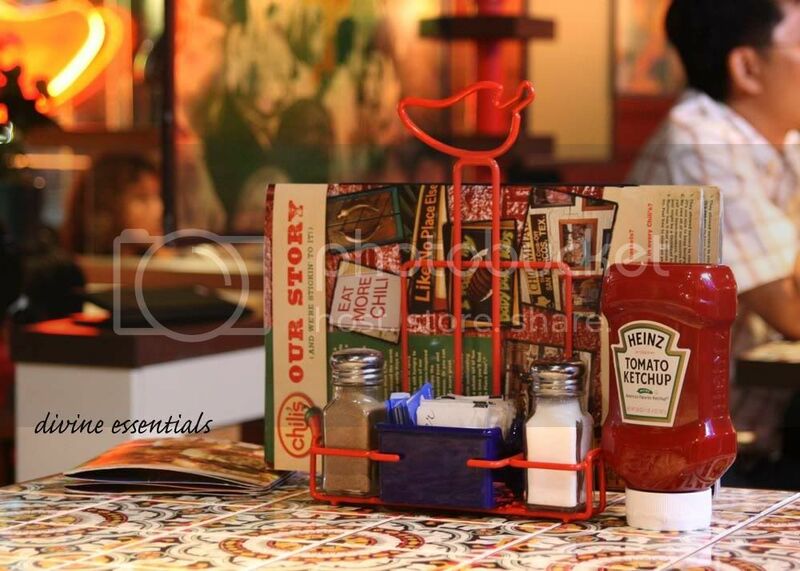 Chili's food is chiefly North American, with plenty of Tex-Mex & Canadian accents. Like in the States service is a highly regarded factor. I'm always pleased with their chirpy, genuinely passionate staffs and this extends to our side. Only difference was the cosy lodgy ambience at Boston which i failed to find here. I decided to keep things light for the night. The Guiltless Chicken Pita ($14.90) is nothing over the skies but a neat collation of some of my favourite foods. I totally dig grilled meats with those charred indentations, the clearer the better. 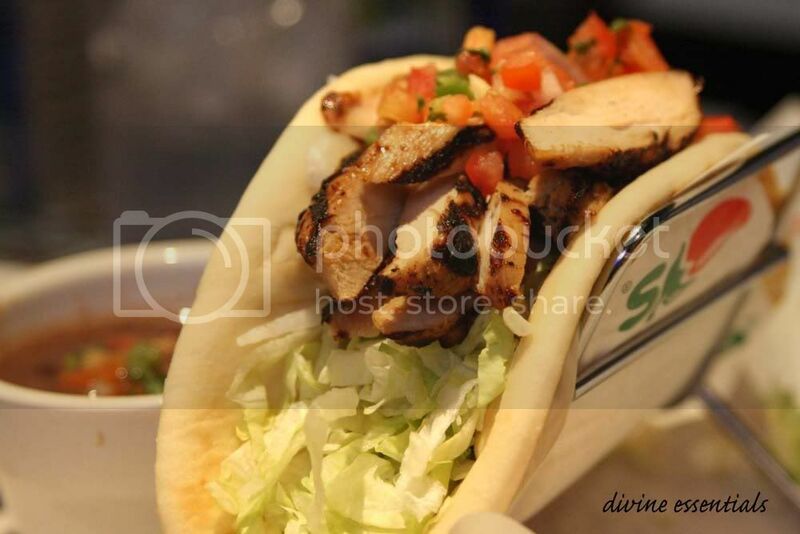 (*thinks of those droolicious charred charsiew ends...) This one starred Fajita-marinated chicken (grill lines assured), pico de gallo and shredded lettuce wrapped within a soft pita. On the side a personal pot of blackbeans stew filler. Now all i need is a good dollop of creamy guacamole and the picture would be complete. 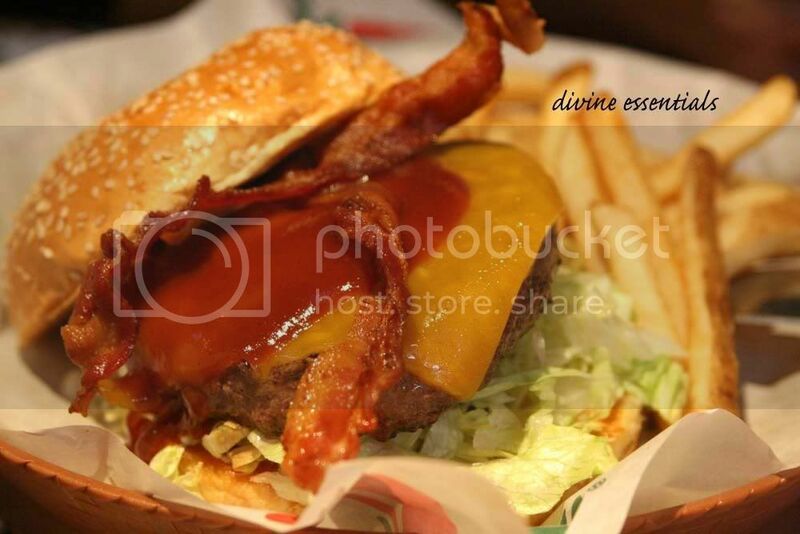 For the hungrys & hungrier, there is always Chilli's Big Mouth Burger series to depend on. Shamefully intimidated by their prized Southern Smokehouse Bacon BMB, the BBQ Ranch Burger ($18.90) became a predicated alternative. Applewood smoked bacon, aged cheddar cheese, BBQ sauce, Ranch dressing, shredded lettue, tomato, pickle and fries. Surely sufficient for the hungrys. Skipping desserts at an American haunt is not my behaviour. We partook in what seemed to be their signature choice, being actively highlighted on all their advertising scores. 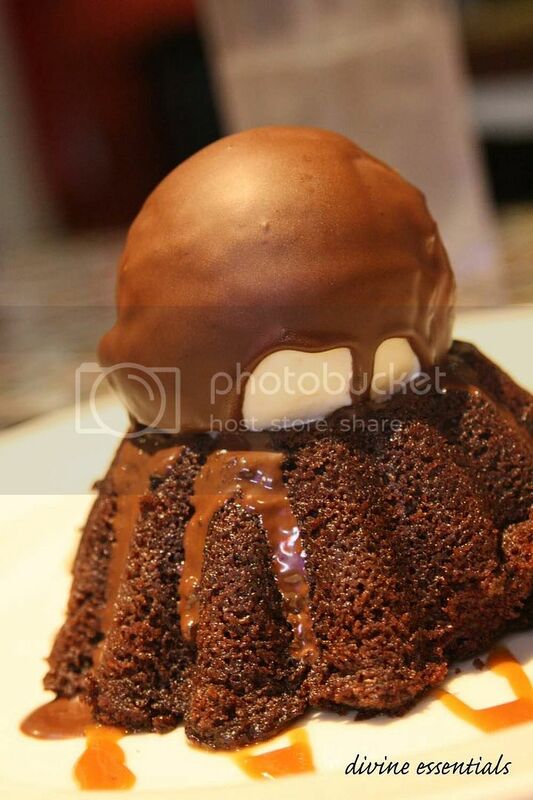 The huge Molten Chocolate Cake ($16.90)- warm not-so-warm chocolate cake with non-molten chocolate fudge filling, topped with rich vanilla ice cream under a crunchy chocolate shell. Mysteriously felt like a pud out of Betty Crocker's stir-and-bake instant mix. Utterly disappointing. 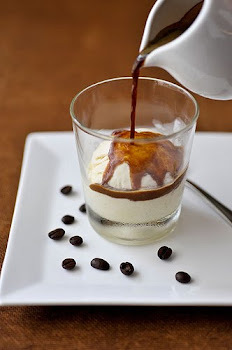 Nooope, even a poor dessert didn't kill my fluttering mood. I couldn't say more about the awesome feeling i have when in Chili's. Felt like i was teleported back to the junkfood paradise and the number of caucasian diners is a living proof of it. This feeling is simply indampenable. A little seclusion goes a long way... 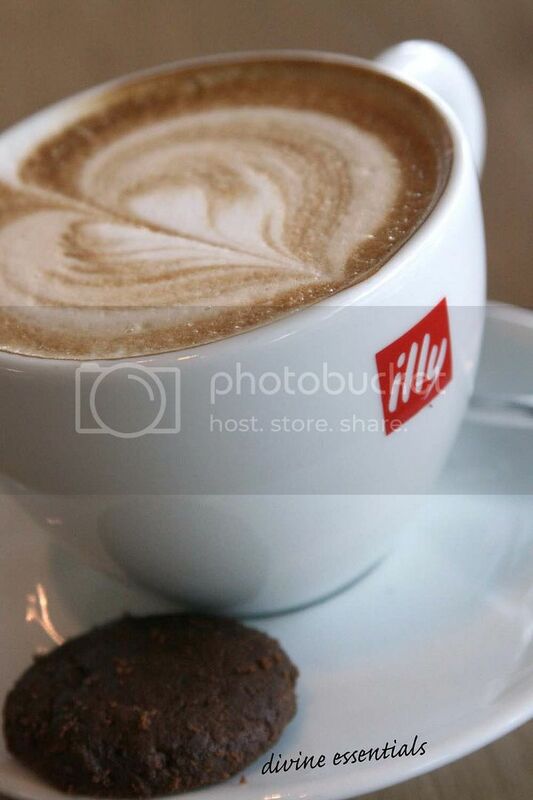 The discovery of this place wasn't instant. It took me several trips to Relish & a couple of gelato pickups from Da Paolo Gastronomia before i began to sniff its existence. 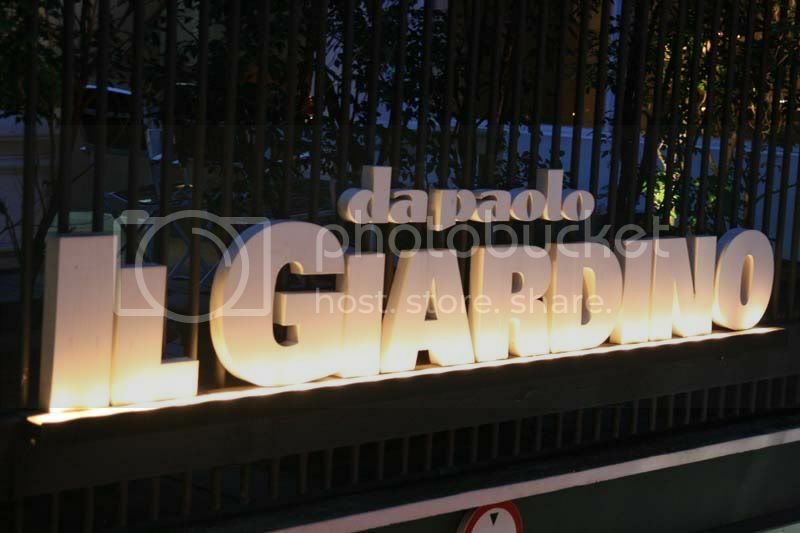 Deep down the side alley of Cluny Court was Il Giardino, an upmarket establishment of the Da Paolo group. Being clandestine was fully in their favour. 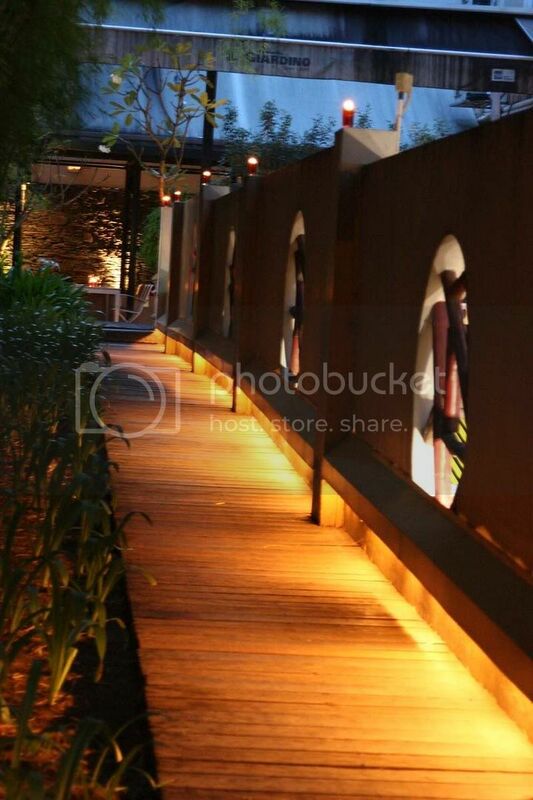 The restaurant charms with receding privacy, complemented by capable staffs who proves to grasp their menu knowledge. 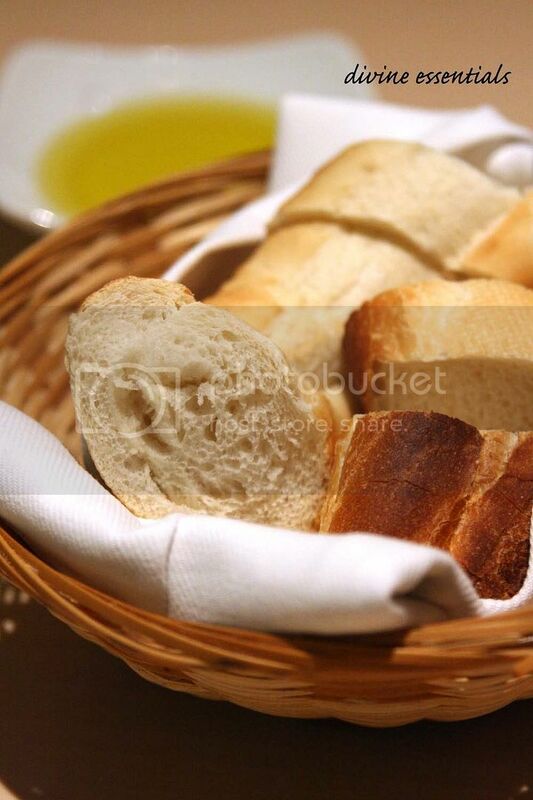 The bread basket came with little delay, housing slices of fresh baguette toasted to the brink. Baguette is baguette. I remain largely unprovoked as long as no delifrancey chewing challenge is involved. Or maybe a foccacia would jazz up better italian colors. Black beware. 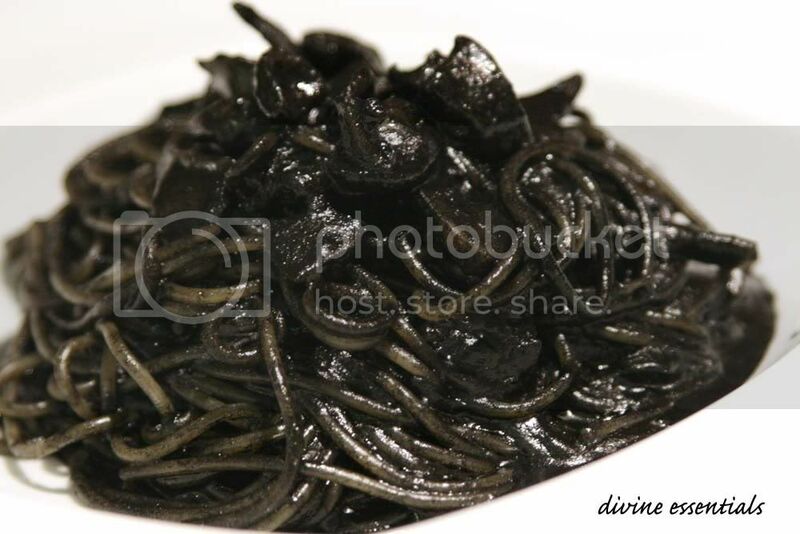 Although veritably tasty of sea tang and aldenteness, the Spaghetti al Nero di Seppia ($26) had a killer black glow. Lips, gums and teeth were all unpardoned from its intense penetrating dye. The Darlie endorsers would avoid it like plague. Giardino insists, strictly a black napkin for this dish. I chose a clearly million times more diner-friendly pasta on my end and slurped up every pleasurable strand. Tagliolini con Aragosta ($28) featured their homemade egg pasta paired with generous chunks of lobster meat. 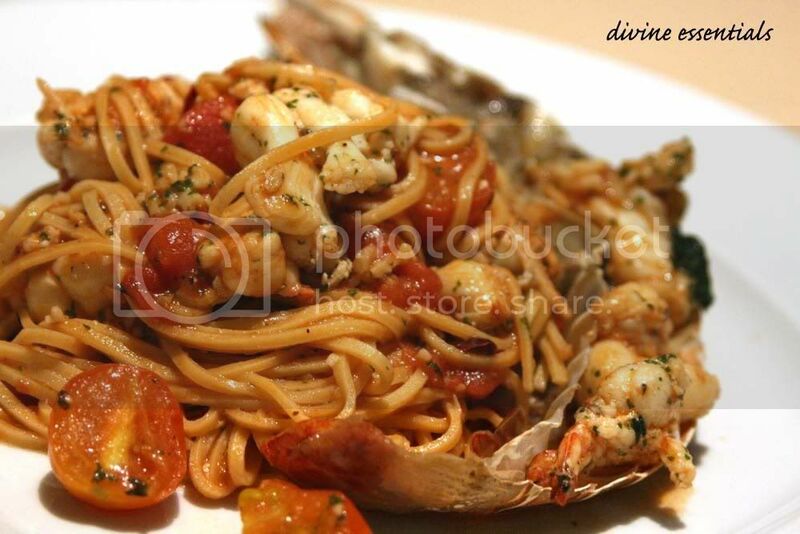 The whitewine-sauteed crustacean and cherry tomatoes nicely incorporates with their substantially expanded tagliolini to become very delectable. When on to dessert, our boring choice wasn't as rewarding as anticipated. 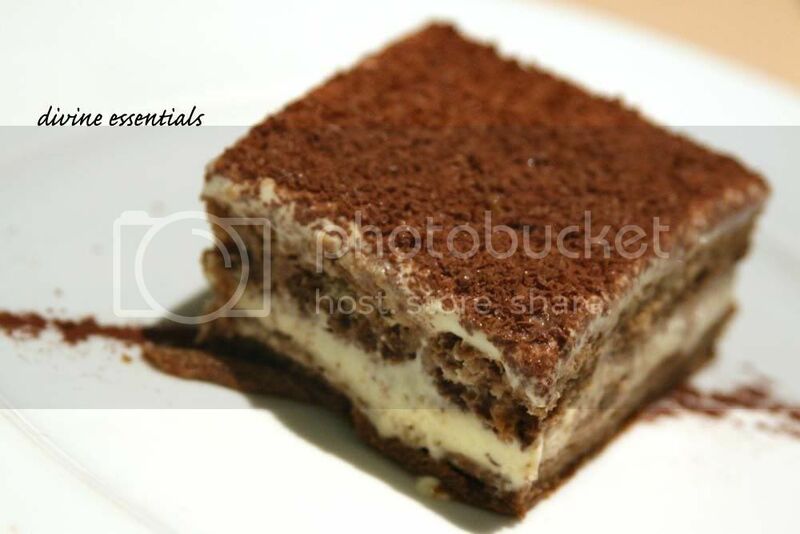 The restaurant's Tiramisu ($10) looked way too undersized to come from the Gastronomia and lacked most full-bodiedness the dessert should withhold. I resorted to settling my sugar fix with a Passionfruit Gelato over at the Gastronomia. Melted real quick like lightning. I call this real sushi. Almost periodically, i dine out with a good friend of mine & we seem to possess this undetachable affinity with Japanese food. 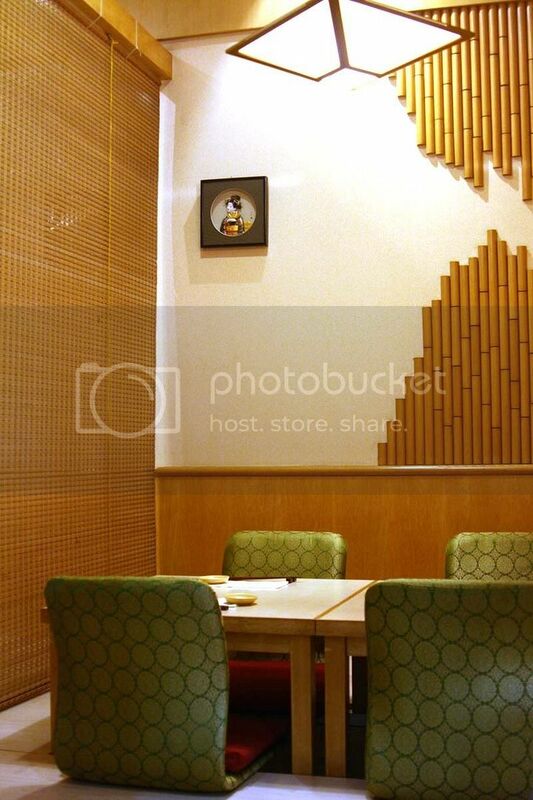 This time because Capella was closed for lunch, we made two rounds at Chijmes until.... we found TATSU. I give up defying that spell. 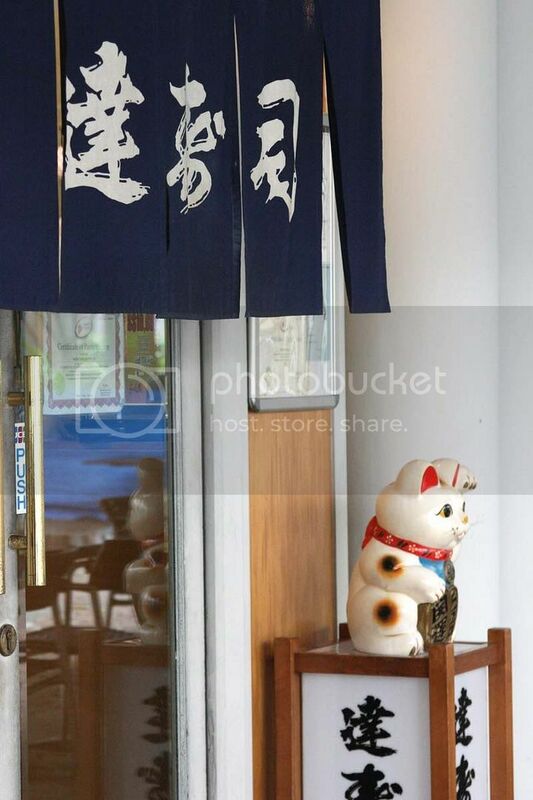 Tatsu falls in the smallish japanese restaurant category- cosy interiors and ungimmicky food. Just the type i love to linger in. Bonusing that was warm and attentive service (since there are so few tables to attend to), from both the restaurant manager and waitresses. I was so close to the sushi bar i had chefs observing my every move and after-swallowing expressions. gasps. The Chawanmushi (inclusive in set lunches) was far from silky or smooth to deliver a perfect kickstart, but nonetheless homey dovey. Not adeptly mastered in texture just like your homemade steamed tofu. 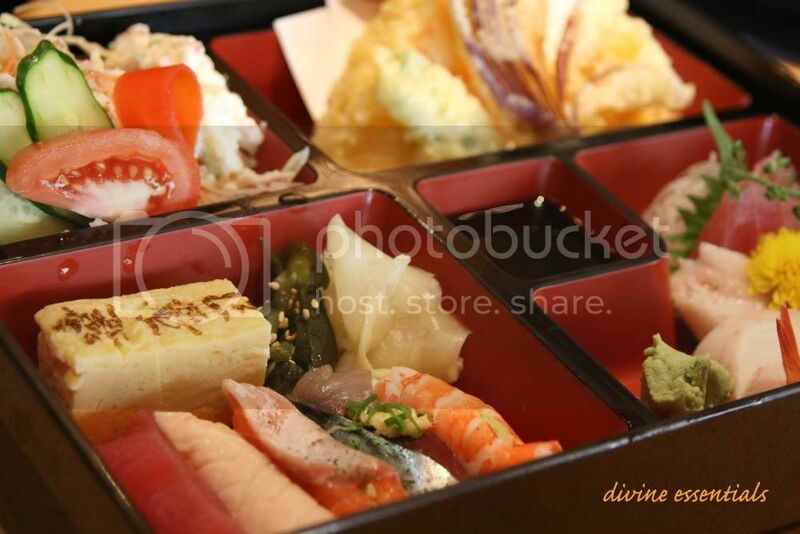 A Tatsu Bento ($28.80) best suits the in-the-mood-for-anything easygoers. 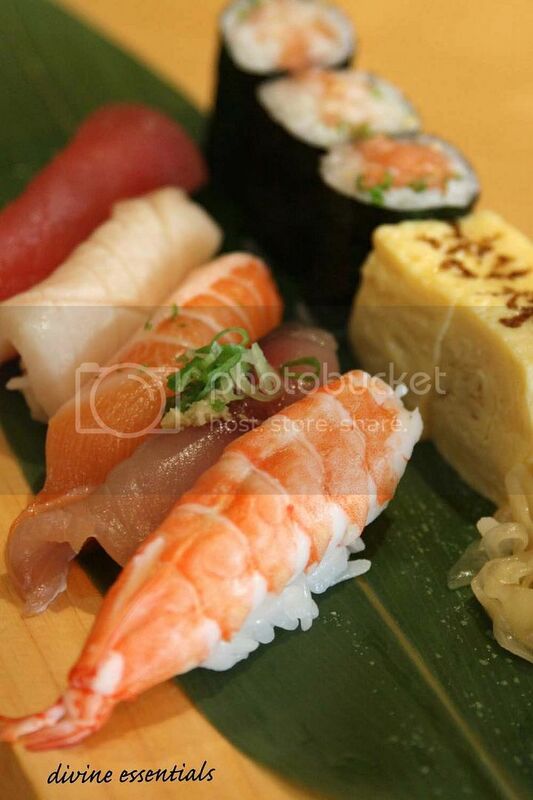 Worthy quintessentials of sushi, sashimi, tempura and salad all under one roof. 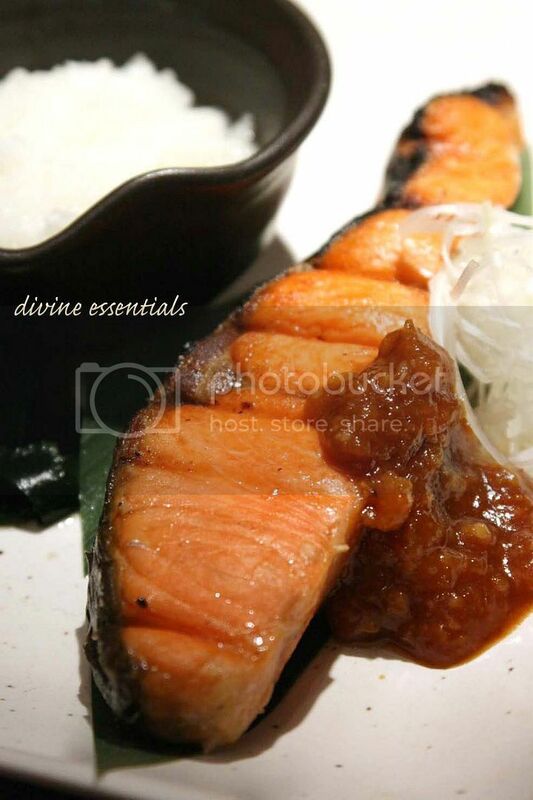 Their salmon sashimi was so unreservingly lubricated with fats, the whole piece just slides sexily down your throat. gorgeous feeeeling. And real sushi is what they render. Sushi is best like Tweety- big head, small body. Being generous with rice is clearly a backfiring idea. When i say real, i mean decent cuts of fish/seafood blanketed over finger-wide rice clumps. Plump and not overly sticky clumps of vinegared rice. That is Tatsu's sushi. Comes with a pretty name-marked tamagoyaki, which would be better sweet than savoury. 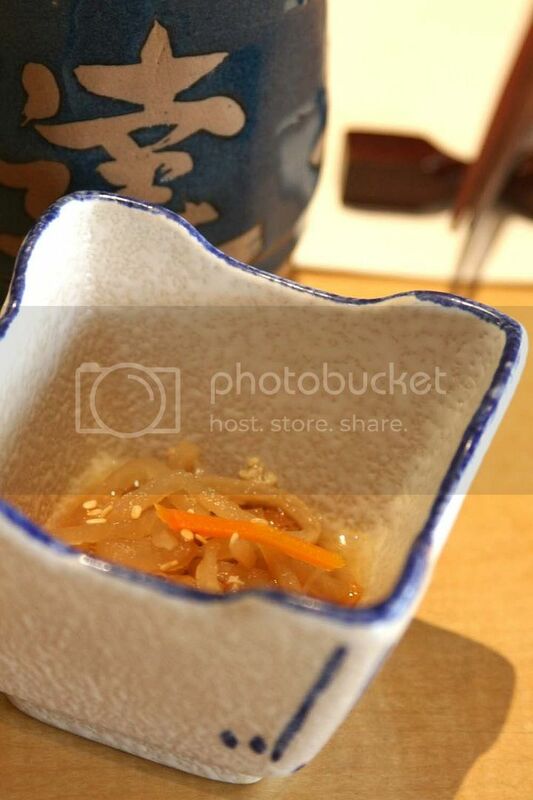 The main lead of my Gintara & Sushi Set ($22.80) was of course, the reason why i ordered it. 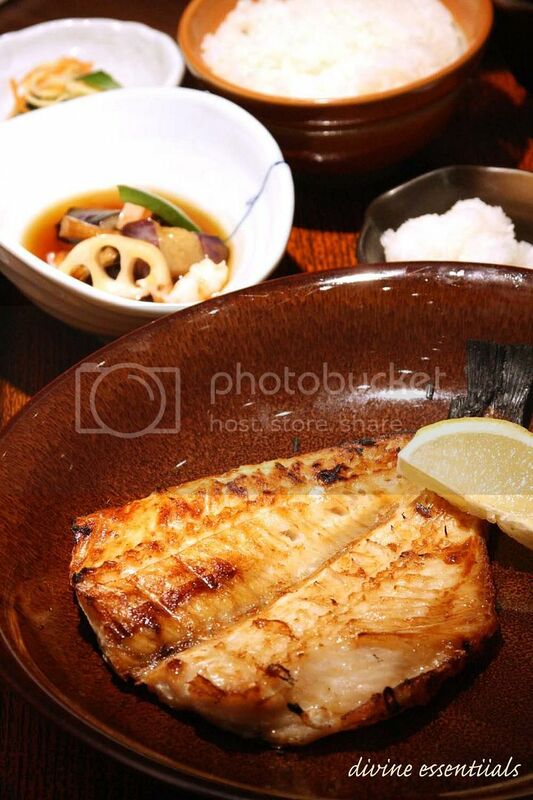 Best is not the word but this is one evenly glazed miso codfish i won't waste a flake of. 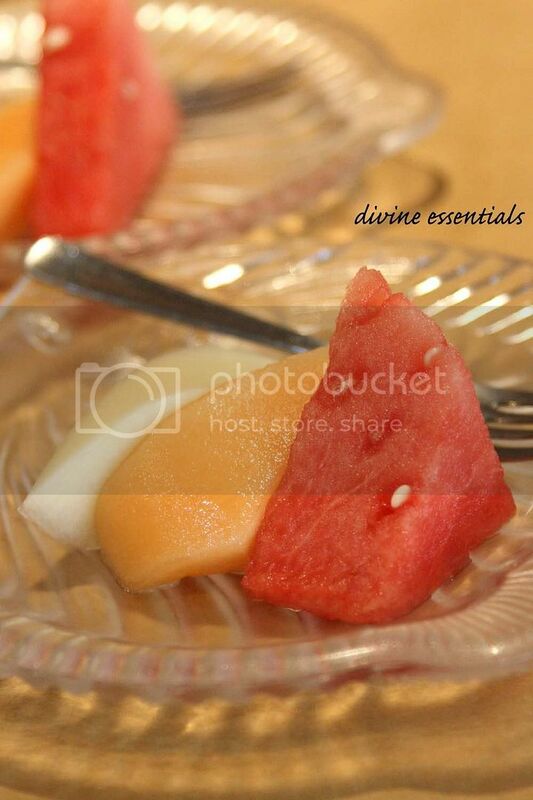 Knowing me, i'll always summon something sweet (and sweeter than fruits) to conclude my meal. 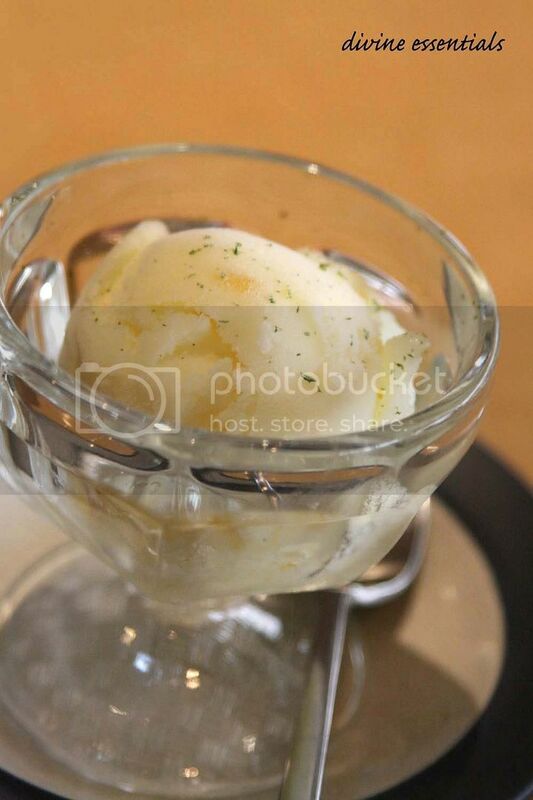 Their Yuzu Sorbet ($5) is citrusy refreshing and the perfect implement to wash away those traces of loitering fatty oils. 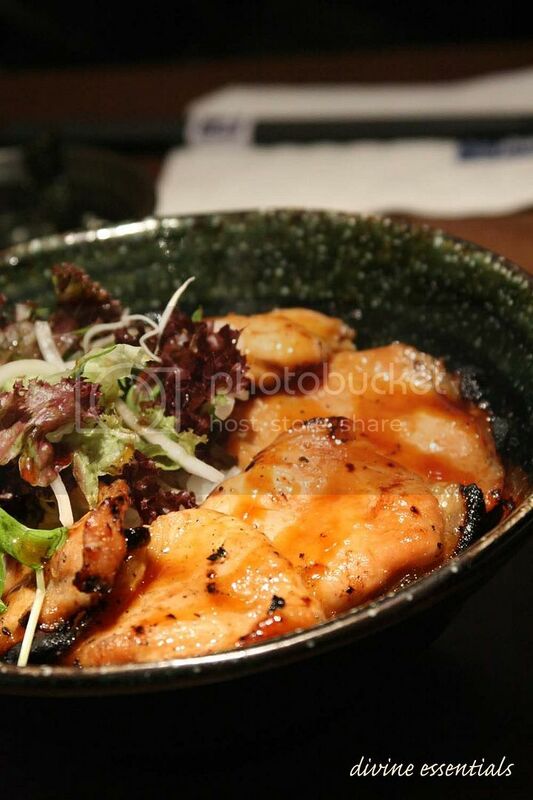 For the unadventurous japanese foodies, or the adventurous but bafflingly craving for some down-to-earth fare... Tatsu has the type of package to feed. Hazelnut Feuilletine. 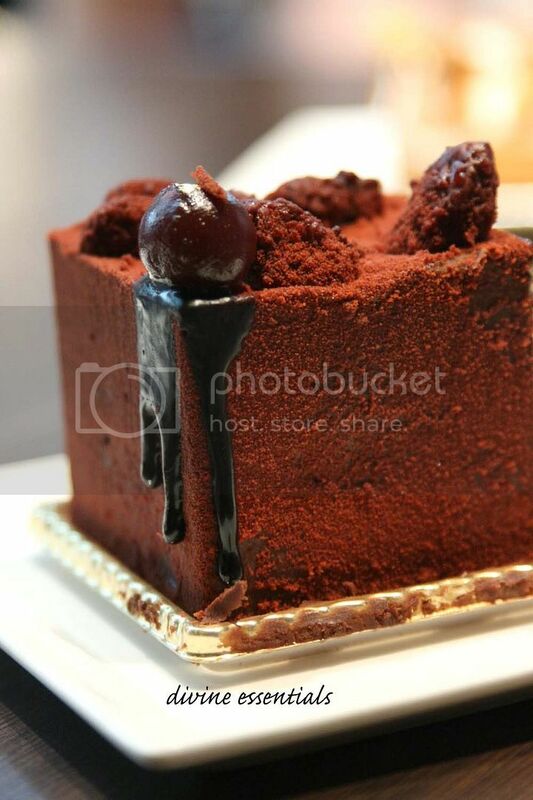 Chocolate Sponge. Milk Chocolate Mousse. 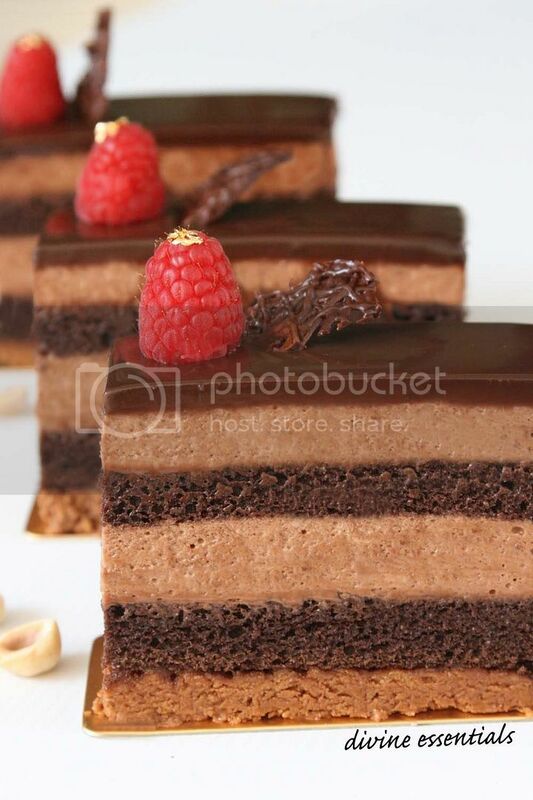 Dark Chocolate Ganache. Raspberry. 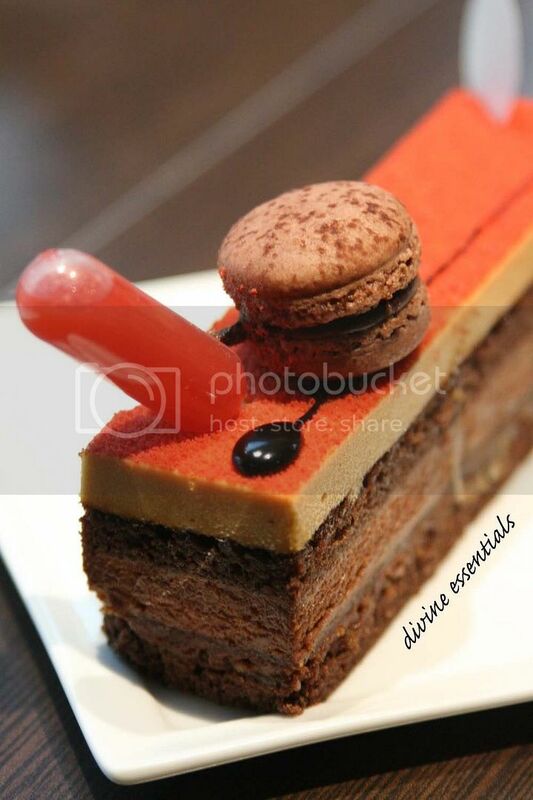 Don't you just love cakes with praline feuilletine? 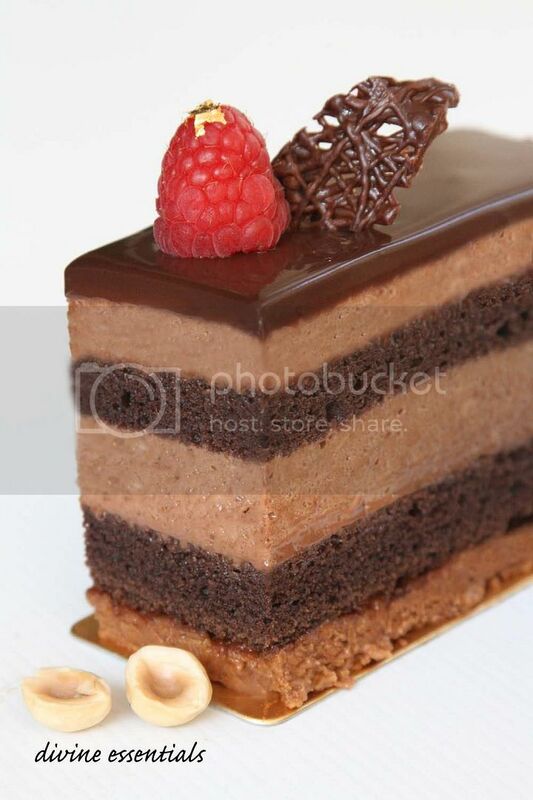 When i was a child i used to like the Coco Exotic Cake from Four Leaves Bakery. 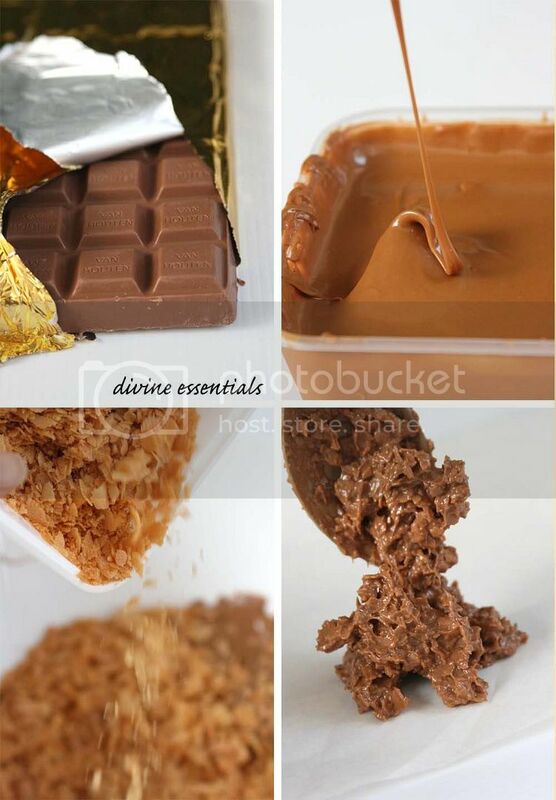 It is chocolately all within and had a crunchy layer that sparkles in the mouth. Then i formed my naive assumptions about it: skeleton of my cornflakes cereals, taste of Ferrero Rocher and texture of chocolate wafer biscuits. Really thought they were made of those! Until all grown up and learning the true art of cakes & pastries. 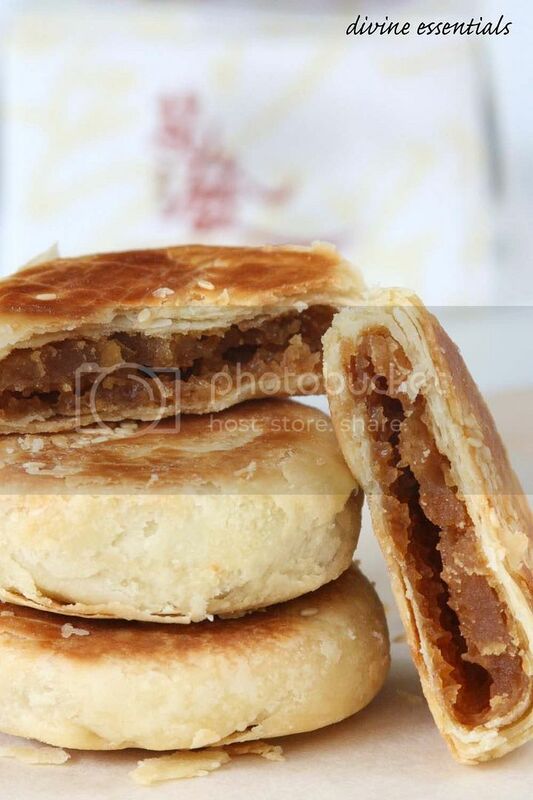 Fact is, Praline Feuilletine comprises a simple mix of hazelnut praline, feuilletine flakes and chocolate. All purchasable at specialized baking stores. But for a virgin attempt, i convinced myself i should make my own praline paste (thankgod it worked!). The nuts were really costly things to think about but when the smooth, glossy praline paste emerges.. the result is ultra rewarding. Anything hazelnutty smells so good! 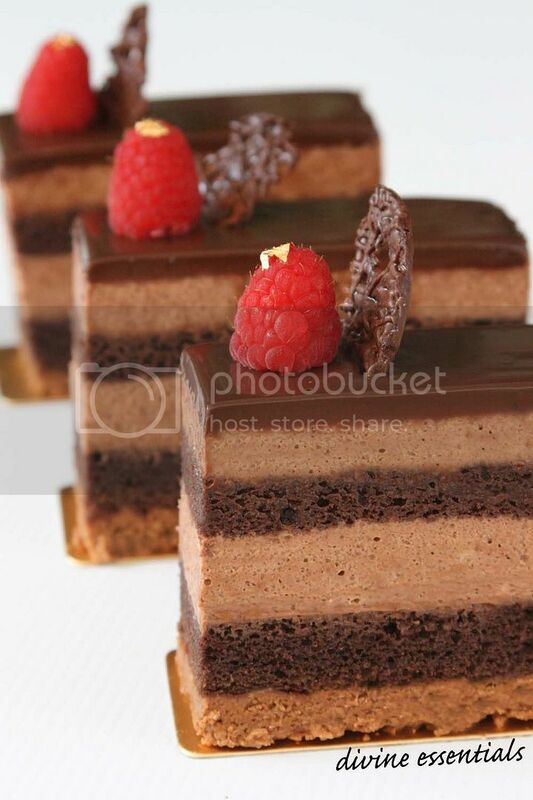 Alternated layers of chocolate fudge sponge, milk chocolate mousse over the praline feuilletine base and coated the top with a dark chocolate ganache to snip the sweetness. The family loved the final product (thanks to the base) but felt that more crunch would be better. Perhaps next time, i'll make double or triple feuilletine layers haha.